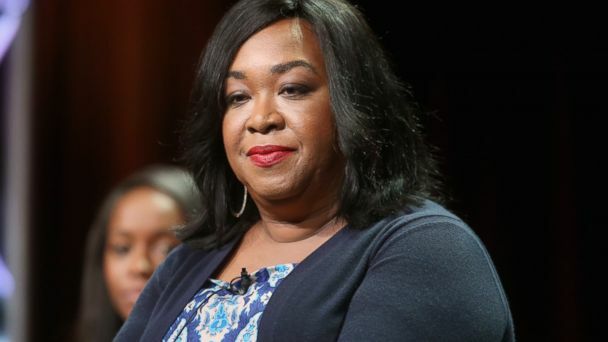 In her first extensive comments on The New York Times' article that referred to her as an "angry black woman," Shonda Rhimes said what really makes her angry is everyone else's need to bring up race and gender when discussing her. "I find race and gender to be terribly important; they're terribly important to who I am," the "Grey's Anatomy" and "Scandal" creator told The Hollywood Reporter in a new cover story. "But there's something about the need for everybody else to spend time talking about it … that pisses me off." In the article last month, New York Times critic Alessandra Stanley attempted to praise Rhimes for how she has "reset the image of African-American women on television," but instead ignited a firestorm beginning with her opening paragraph, "When Shonda Rhimes writes her autobiography, it should be called 'How to Get Away With Being an Angry Black Woman.' "
At the time, Rhimes, 44, responded on Twitter with, "Confused why @nytimes critic doesn't know identity of CREATOR of show she's reviewing. @petenowa did u know u were 'an angry black woman'?" She was referring to ShondaLand writer and producer Peter Nowalk, who created the new show "How To Get Away with Murder," starring Viola Davis. Rhimes is an executive producer of the show. Rhimes went on to tweet, "Apparently we can be "angry black women" together, because I didn't know I was one either!" She also added, "Final thing: (then I am gonna do some yoga): how come I am not "an angry black woman" the many times Meredith (or Addison!) rants? @nytimes," referring to two white characters from her shows. Others joined the conversation. Social media erupted and pieces were written in Slate and The New Yorker. Rhimes told The Hollywood Reporter, "Some really amazing articles were written that had the conversation that I've been trying to have for a very long time, which, coming from me, makes me sound like I'm just, 'Rrrraw!'" Though some friends and colleagues have called for the piece to be retracted, Rhimes said she prefers that it remain. "In this world in which we all feel we're so full of gender equality and we're a postracial [society] and Obama is president, it's a very good reminder to see the casual racial bias and odd misogyny from a woman written in a paper that we all think of as being so liberal," she told THR. Oscar-nominated Davis told THR that there's so much more to Rhimes' success than her race and gender. "Shonda is a black woman, and I understand that that's a part of what people want to write about when they write about her," she said in the cover story. "But here's the thing: After you write about that, write about something else. Write about her vision, write about her courage, write about her talent, write about the fact that she's been able to achieve something that very few people have been able to achieve. Write about that."